This page gives details on the books I've written, and on some of those I've edited or contributed to. My new book, written together with Emanuele Arielli (Venice), has been published in July 2018. It presents an investigation of experimental approaches to style research, which are integrated on the basis of an interdisciplinary approach to style. Style research has a long and venerable tradition, but its results are highly fragmented. Style exists in language and literature, art and architecture – but every discipline has its own theories. New approaches in empirical aesthetics and multimodality call for broader perspectives. 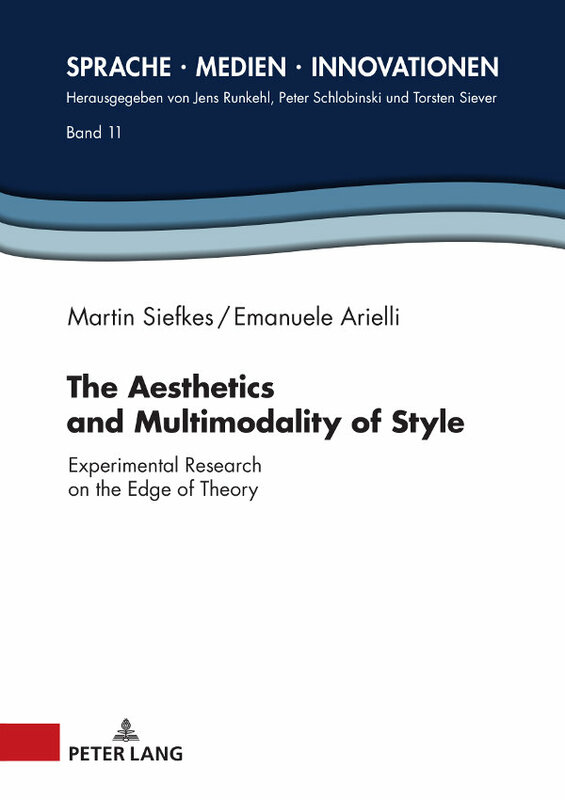 This book offers an overview of experimental research on style, and proposes a common theoretical basis. How do we perceive styles? How do styles change – and why? What is multimodal style? Are style and personality really connected? How is style related to aesthetic experiences? Which cognitive mechanisms are relevant for the creation and perception of styles? Are there neural correlates for style use? The book discusses these and further questions, providing researchers with a valuable source of new ideas. The book flyer from Peter Lang provides further info on the content, available formats, and how to order the book. [Update:] A new English-language article on evidence on the genocide question in Spiecker’s diary has recently appeared in the Journal of Namibian Studies. 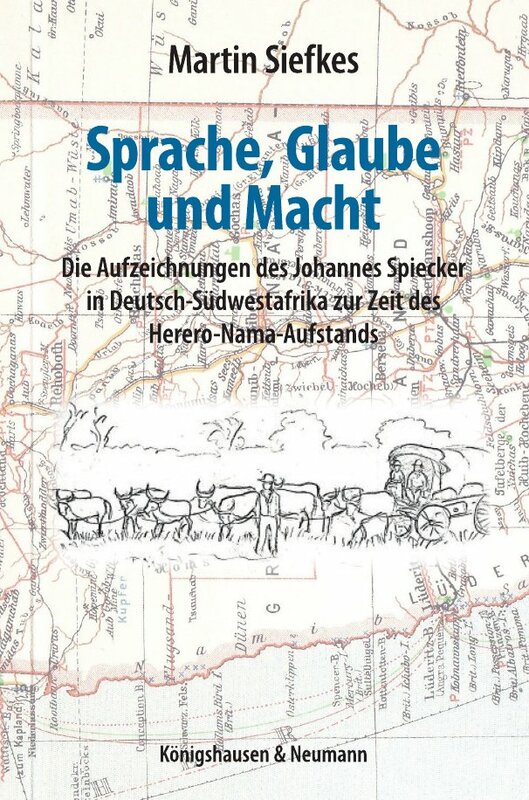 My book on German colonialism in German South-West Africa (which later became Namibia) was published in June 2013. It focuses on the context of the Herero and Nama uprising and genocide that took place from 1904 to 1907. 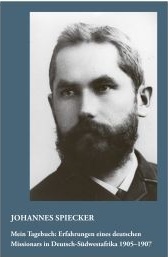 It focuses mainly on the newly published diary of Johannes Spiecker (see below, next entry). This historical source used to be only accessible in one archive and was more or less overlooked by historians. My book discusses the historically important points of the diary, details its historical context, and compares it to other sources. A series of drawings that were made on the basis of photos from Spiecker, a historical map and an index – indispensable because of the numerous names of places and people – are included. 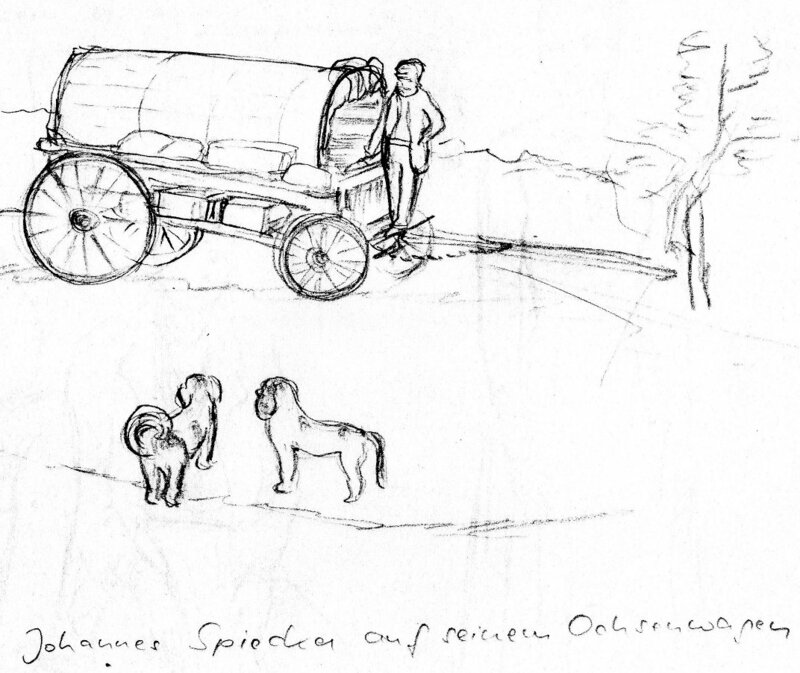 From 1905 to 1907, in his role as inspector for the Rhenish Missionary Society, Johannes Spiecker traveled through German South-West Africa. At this time, the Herero and Nama uprising was still ongoing. The missionaries urged the insurgents to lay down arms, fully knowing that they would be transported in concentration camps, where many of them died. Spiecker intervened for a better treatment of the prisoners (with little result) and against the plans of some members of the Schutztruppe who openly spoke about extermination of whole tribes. He proposed Governor Lindequist to abstain from a punishing campaign against the Ovambo. Disregarding directions from headquarters in Barmen, he traveled to Ovamboland where he met Ovambo chief Nechale, whom he pressured to submit to the German colonial government. Spiecker’s role is ambivalent; his interventions might have influenced some aspects of the war (especially the planned Ovambo campaign). In the present publication, Spiecker’s private 2000-page diary documenting his travels, the colony, and the uprising is evaluated in its historical context; concepts of post-colonial studies and travel writing research are applied for a critical reading. The book offers an inside view on life in the colony, the situation in the war zone, and the involvement of the Rhenish Mission in many aspects of colonization. Obtainable from the publisher, buchhandel.de, or amazon.de. The book Johannes Spiecker – Mein Tagebuch. Erfahrungen eines deutschen Missionars in Südwestafrika 1905-1907 has just been published. For more than a century, the diary (based on a manuscript that is more than 2000 pages long) had to wait for publication. Four years in the making, the publication of this important historical source has been made possible by combined efforts from the publisher and the United Evangelical Mission in Wuppertal. I've co-edited this publication, and written the introduction. The diary is an important source illuminating the war and genocide by the German military in German South West Africa; it highlights the role of the missionaries in the rebellion of the Nama and Herero and its repression by the Germans, which was largely one of mediation. Spiecker opposes a campaign against the previously uninvolved Ovambo planned by the Schutztruppe, and advocates improvements in the prison camps. Many other aspects of the role of the Rhenish Mission in the German colony which later became Namibia are illuminated in this fascinating inside report on the missionaries' work in the colonies. Last but not least, it is an exciting read. 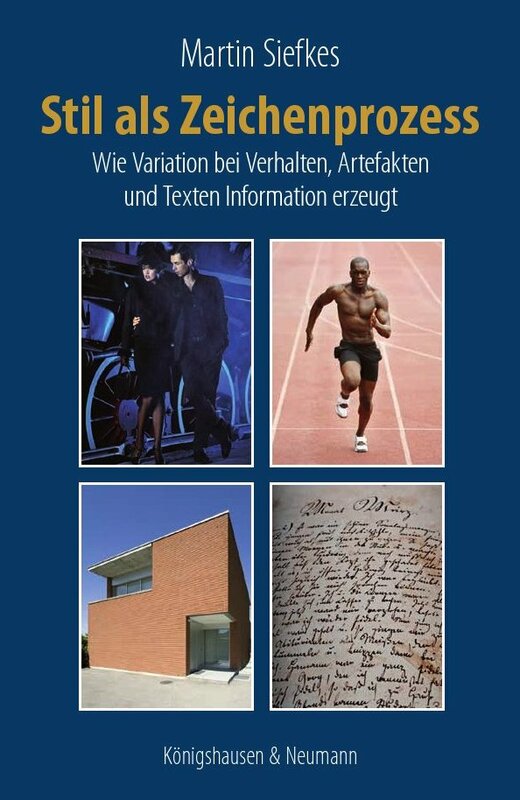 My doctoral dissertation Stil als Zeichenprozess (style as a sign process) was published in August 2012. I'm really happy about how the printed volume turned out: it's hardcover in a large format, has solid thick paper, a nice cover, and it comes at a reasonable price of € 49.80. Style exists in all areas of life. Works of art and texts, architecture and artefacts, reasoning and sports, and even everyday behavior such as driving or walking: In all these areas, the term “style” is used to describe a specific kind of variation. Style theories, however, usually were created in a specific discipline and therefore confined themselves to specific areas, such as verbal texts, art, or architecture. This study introduces the first truly general and analytically precise theory of style. The theory models the sign processes that occur when styles are used or perceived, with methods and formalisms of logic and computer science. The assumption is made that behavior, artefacts and texts are based on schemata. It is shown how, by selecting from classes of alternatives that are defined by a schema and context conditions, stylistic features are created. Starting from these features, further inferences can be drawn in a stylistic interpretation. In ch. 2, the theory is presented in its general outlines, without technical details. In the following chapters 4 to 7, the model is presented, with careful explanations of every step ensuring that it can be understood without special background knowledge. A short English introduction can be found here. Obtainable from the publisher, buchhandel.de, or Amazon. The full text of the book is available as pdf and as Word 2007 (license: Creative Commons BY-SA). 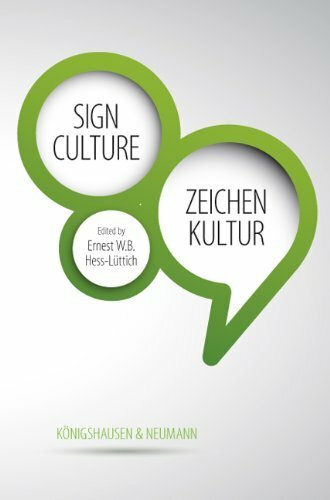 The extensive volume “Sign Culture – Zeichen Kultur” has just been published. It was edited by Prof. Hess-Lüttich (Bern) and is conceived as a festschrift for Roland Posner, the famous semiotician and theoretician of culture. The volume (which is mostly written in English) brings together many scholars and scientists from linguistics, semiotics, anthropology, analytic philosophy, and the study of culture, and gives a far-ranging overview on current developments in these fields. I participated with an essay on uncooperative communication. The sincere thanks of all semioticians and fans of Roland Posner's work go to Ernest W.B. Hess-Lüttich, for the conception and editing of this volume! The TU Berlin (Technische Universität Berlin) organized a celebration for Roland Posner at the occasion of this volume’s publication. I've held the laudation [DE] presenting the most important theories and publications of Roland Posner. Body postures are an essential part of human communication: they can express emotions, indicate social hierarchies, and negotiate (sub-)cultural affiliations. This book lays the foundation for a semiotic approach to body postures as part of human kinesic behaviour, and proposes a lexicological description for conventional body postures. 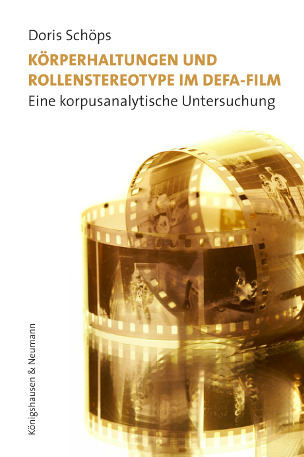 The second part of the book applies the developed approach in a corpus-based study of DEFA films (East German socialist film). The results indicate that the body postures adopted by the film characters depend, to some degree, both on the overall behaviour of the characters, and of their role in the plot. Film characters literally ‘embody’ some of their properties, and of their overall narrative functions. The body behaviour of the characters in DEFA films is connected to the socialist world view, to the ‘official party line’ as well as its contradictions and partial subversions. The results are discussed against the background of political and cultural developments in the GDR from 1946 to 1989. The study contributes to the exploration of the DEFA films, to the iconography of body postures in Western cultures, and to the discussion about embodiment in contemporary cultures. It constitutes a breakthrough for kinesics research, and demonstrates a number of methodological innovations for quantitative approaches in film and multimodal studies. Doris Schöps studied arts education, German and Italian philology in Dresden, Rome, and Berlin. She received a PhD from the TU Berlin in 2014. Her research focuses on the embodiment of stereotypes, on visual discourses, and on the use of gestures in second and foreign language teaching. Obtainable from the publisher, buchhandel.de or from amazon.de.